Macau is known as the huge casino haven in Asia, but it also offers another attraction to those who are not looking to gamble but would love some thrill and excitement. 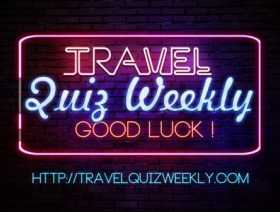 This attraction is one of the country’s most iconic structures- the Macau tower. Situated at the southern end of the peninsula, the tower was financed by casino mogul and billionaire Stanley Ho, who wanted to have a sky tower similar to that of New Zealand. Today, the Macau Tower stands at a height of 338 meters and is one of the tallest free-standing structures in the world. Aside from housing cinema theaters, cafes, restaurants, a shopping mall and observation deck, the tower is also “the” venue for many extreme activities like mast climbing, Skywalk X and bungee jumping. In fact, the Macau Tower is considered the highest commercial bungee jumping site in the world, according to the Guinness Book of World Records. Bungee jumping from the Macau Tower involves jumping from a platform at the height of 233 meters and is controlled by a cable guide system. As you jump into the air, you will experience freefalling at a speed that will reach 220 km/h. The cable system will allow you to freefall at around 4-5 seconds and then experience a few rebounds. After which, you will land slowly, not to mention safely, onto a special airbag. AJ Hackett Company is the bungee jumping operator in Macau Tower. If this name sounds familiar, it is because it is the name of the person who introduced commercial bungee jumping to the world. For the Macau Tower bungee jumping site, AJ Hackett is using their specially designed 2nd generation bungee cord, which allows even distribution of the jumper’s weight throughout the cord. The company’s guide cable system also ensures that jumpers will not make contact with the tower in most weather conditions. Ready to go bungee jumping from Macau Tower? If you are ready to make the jump of your life, book a flight to Macau International Airport. Aside from preparing yourself mentally and emotionally, make sure to have the cash with you. Tower entry price is currently MOP$ 135. The bungee jumping fee is at MOP$ 1,488. A second jump may be insane but if you want it, you can have it! And the good news is it is even cheaper at MOP$ 588. You can even rent a costume for the jump to add more fun. Want to see Macau buildings brightly shining in the night? Consider doing a night bungee jump, which is available from 6 pm or 7:30 pm depending on the season. 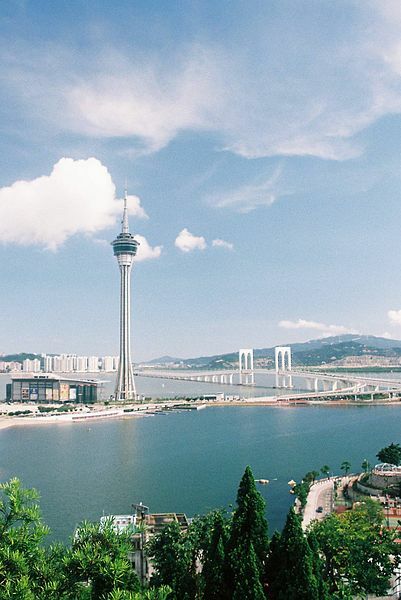 Bungee jumping from the Macau Tower is possible 7 days a week, all year round, provided the weather is not too harsh. Although it officially opens at 10 am (9 am during weekends) to 9 pm during weekdays, the restaurants and bars in the tower are opened till late. So after conquering your fear of heights and obtaining the video, the certificate and the t-shirt to prove it, don’t leave just yet. You can chill at the tower’s 360&#8734; Cafè on the 60th floor or dine at the 180&#8734; Lounge and Grill on the 59th floor. And as you are congratulating yourself for facing fear straight in the eye, you can also enjoy the stunning views from these cozy eateries.